People have often had to make great sacrifices in the name of science. Many lives have been lost to the pursuit of knowledge and trying to figure out how our world works. Steve Naylor has just discovered the lost science of virtometry, an art that was forgotten for a very good reason. A science that has been a part of our existence for centuries. No one is safe now. The harvest has begun. 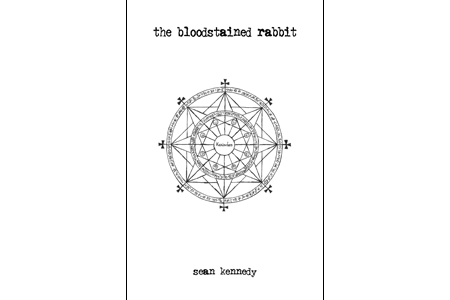 Sean Kennedy's out of print first book, 'The Bloodstained Rabbit' can now be downloaded and read for free! This newly edited version by Michael Elliot is available for the public to download, read and share. Enjoy this amazing adventure again in the format of your choice. Sean's original foray into writing is now available for the first time in print! Straight from his pen to this professionally printed soft cover book, The Bloodstained Rabbit will give you a taste of Sean Kennedy's unique world of horror. For a limited number only, the first printing (limited to 250 copies) of the book comes with the BONUS audio disc of The Bloodstained Rabbit read by the author himself, Sean Kennedy! This is a limited time offer for the bonus CD together with the book. The audio on the CD is over 5.5 hours of high quality mp3s for you to listen to. Your first printing copy of The Bloodstained Rabbit will be numbered out of 250 and personally autographed by Sean Kennedy! Bloodstained Rabbit Book (Softcover) + Audio CD: SOLD OUT! FIRST PRINTING (250 COPIES) INCLUDES AUDIO CD OF BOOK! "The story itself goes back to the basics of horror the likes of which has not been put to paper since such greats as Lovecraft or Poe. The story manages to flow with a more modern yet unique style to create images we all hope can only exist in the darkest corners of our minds. Keep writing and I will be sure to keep reading." "It's hard for me to get into a lot of novels because of their pace, but your writing and the plotline grabbed my attention and pulled me right in to the point that I managed to finish it in a matter of hours. I hope someday to have a couple of published works out there, and after reading 'Bloodstained' I feel inspired to continue on a couple of projects I've had brewing for a while." "I'm on page 33 and I love the book! 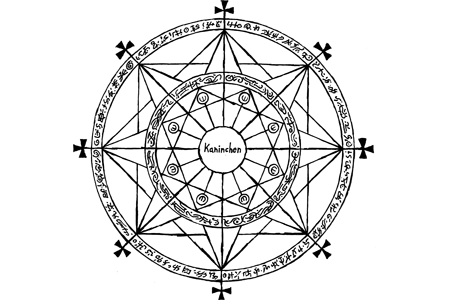 I really liked "The Scabbed Wings of Abbadon" too, so that's not really a suprise to me. I think I remember that you said once that you weren't completely sure about this book, that it was an older writing of yours - but let me assure you, it's great! You really know how to use the power of description to bring the details in the story to life." "Wow. Now that's horror. It's like a bad train wreck. It's gruesome yet you can't look away. Great job Sean." "And finally, one of the things that I consider the hallmark of a good story is if it allows my imagination to wonder what happens next. That definitely happened with The Bloodstained Rabbit. I can't wait for the next book!"